GRETNA – A Jefferson Parish man is suing an oil company and propane gas supplier for injuries he claims to have received in a workplace incident. Cleveland Matthews, and wife Debbie, filed suit against Salathe Oil Company, Inc. and Blue Rhino Corporation in the 24th Judicial District Court on Nov. 2. Matthews claims he was working for Salathe Oil Company when he was operating a forklift lifting propane tanks, began feeling faint and lost consciousness inside a container owned by Blue Rhino. The plaintiff claims that he injured his head when he passed out. The defendant is accused of failing to properly vent the trailers, failing to monitor the use of dangerous hazards, gross disregard for the safety of individuals and failing to maintain the integrity of propane canisters that leaked fumes and posed a risk of harm. An unspecified amount in damages is sought for medical expenses, physical pain and suffering, mental pain and suffering, loss of enjoyment of life and future lost wages. 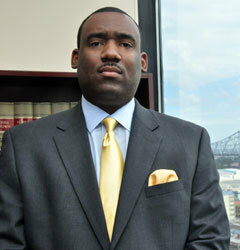 Matthews is represented by Edwin M. Shorty, Jr. of New Orleans-based Edwin M. Shorty, Jr. & Associates.